Valentin's return gift from Lancelot (Saber). 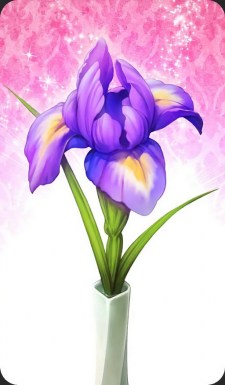 An iris gifted by Lancelot. The significance of the iris is "hope" and "good news," among other things. This page was last modified on 6 April 2019, at 08:57.